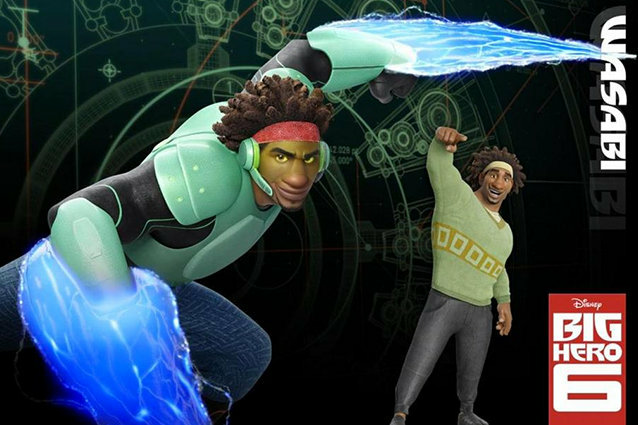 Big Hero 6, Disney and Marvel’s upcoming CG-animated superhero smash-up, might not be the place you’d expect to find deep belly laughs, but the voice cast runs deep with some fantastically funny actors from some of our favorite TV and movie comedies. Here’s a rundown of the cast and where you might know them from. 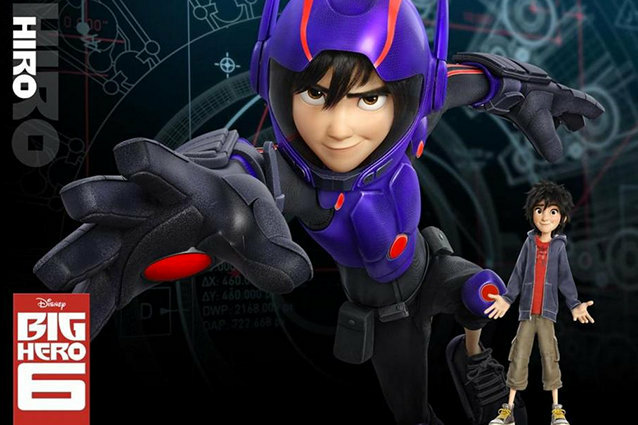 Role: Hiro Hamada, a half-Japanese, half-Caucasian genius who creates Baymax, his own robot superhero. Potter is currently Nickelodeon’s resident dreamboat and has starred on the channel’s series Supah Ninjas and Fred: The Show. 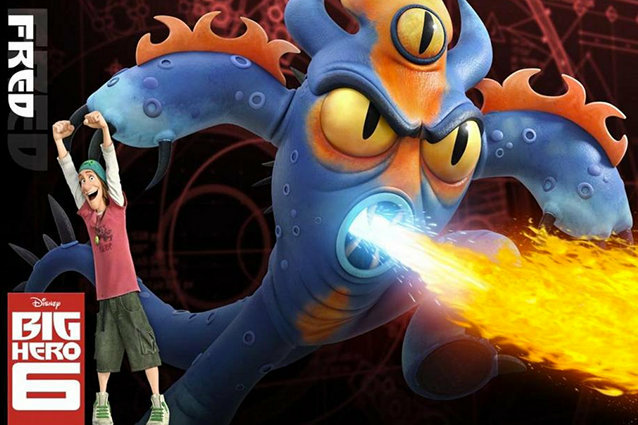 Big Hero 6 will be the actor’s first feature film. 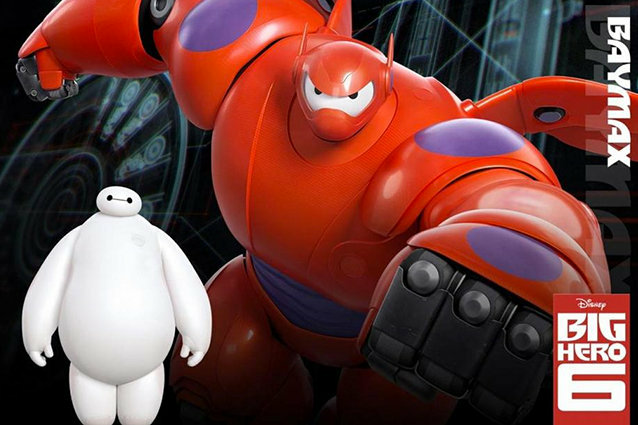 Role: Baymax, A peaceful nurse robot turned action hero. Adsit is most well-known for his role as the perpetually exasperated producer Pete Hornberger on 30 Rock. He has also had roles in the films The Informant!, We’re the Millers, and Accepted. His television roles include roles in Moral Orel and guest appearances on Curb Your Enthusiasm, The Office, Monk, and Malcom in the Middle. Role: Fred, a nerdy guy who creates his own robotic Kaiju monster to fight evil. Miller currently has a stand out role as Erlich in HBO’s tech comedy Silicon Valley, which just wrapped up it’s freshman season and garnered a couple Emmy nods. The actor has also appeared in films like Our Idiot Brother, She’s Out of My League, Rock of Ages, Extract, the How to Train Your Dragon movies and the recent Michael Bay blockbuster, Transformers: Age of Extinction. 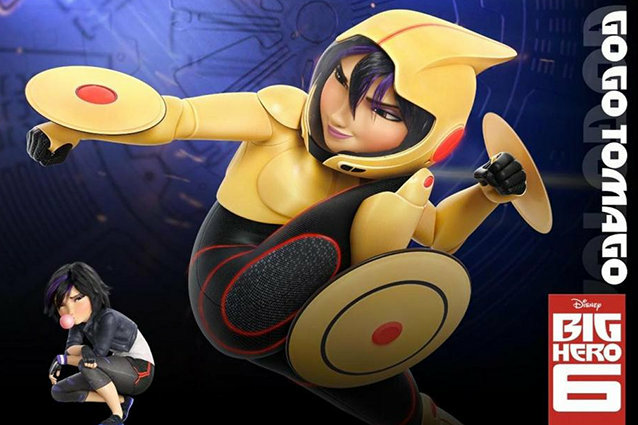 Role: Go Go Tomago, a tough as nails crime fighter who flies around in an advanced supersuit. After appearing on a season of MTV’s long-running reality series, The Real World, Chung embarked on a successful acting career, appearing in the films, Sucker Punch, Grown Ups, Premium Rush, The Man with the Iron Fists, and the two Hangover sequels. This year, she is staring in Sin City: A Dame to Kill For. 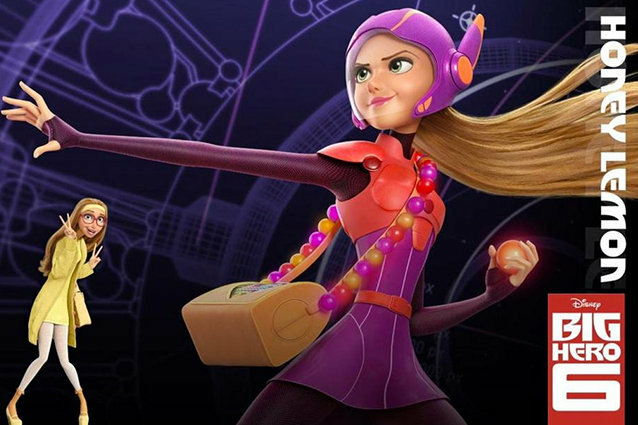 Role: Honey Lemon, a sweet and sensitive character who’s new to the superhero game, but holds the team together. Rodriguez is a veteran of both Spanish-language and American soap operas, having appeared in several telenovelas and the American daytime series, Days of our Lives. As for feature films, she has appeared in the comedies Casa de Mi Padre, What to Expect when You’re Expecting, and Identity Thief. Wayans is currently starring on the comedy New Girl and has also appeared on the swiftly cancelled but brilliant series Happy Endings. Later this summer, Wayans will team up with New Girl cast mate Jake Johnson for the action-comedy Let’s Be Cops.